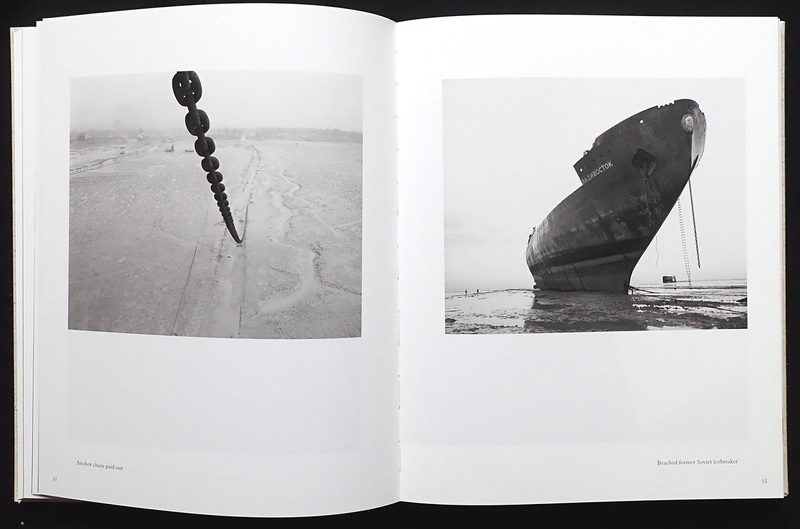 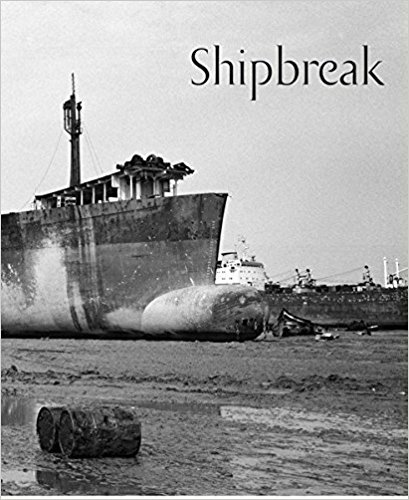 Claudio Cambon took these photos in 1997/98 when he joined the last voyage of the US tanker SS Minole from Baton Rouge to a breaker's yard in Chittagong, Bangladesh. 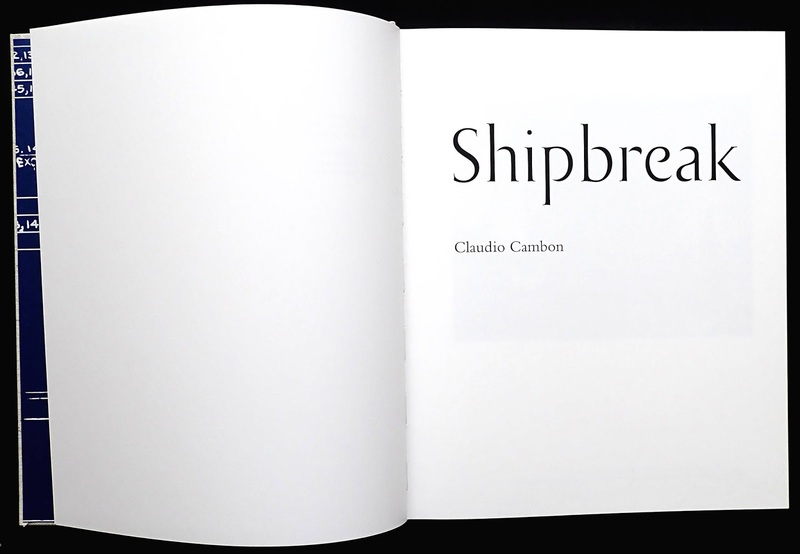 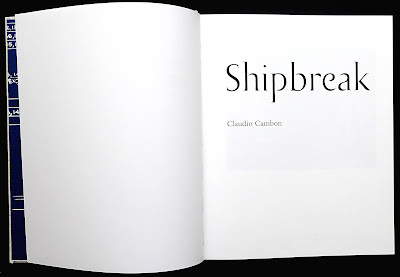 A slightly unusual book because as well as photos of the voyage and beak-up Cambon also wrote the text that fills fifty-three pages after the photos. 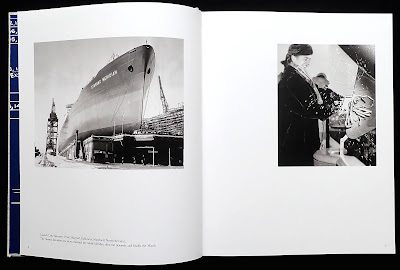 The ship had four names since it was launched in 1961: Stanvac Meridian; 1962 Mobil Meridian; 1990 Seminole: 1991 Minole (minus the Se of Seminole). 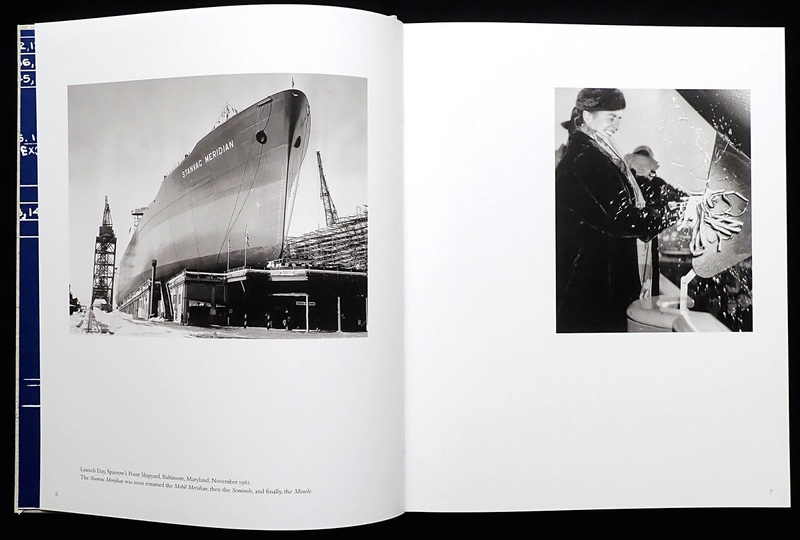 Page seven has a photo of a lady smashing the traditional bottle of bubbly against the bow. 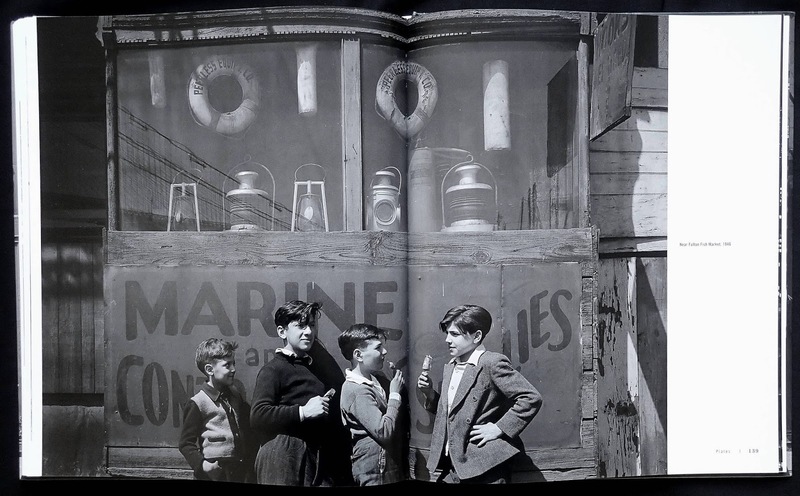 I thought the photos of the voyage and crew rather ordinary, nothing of the engine room, bridge. 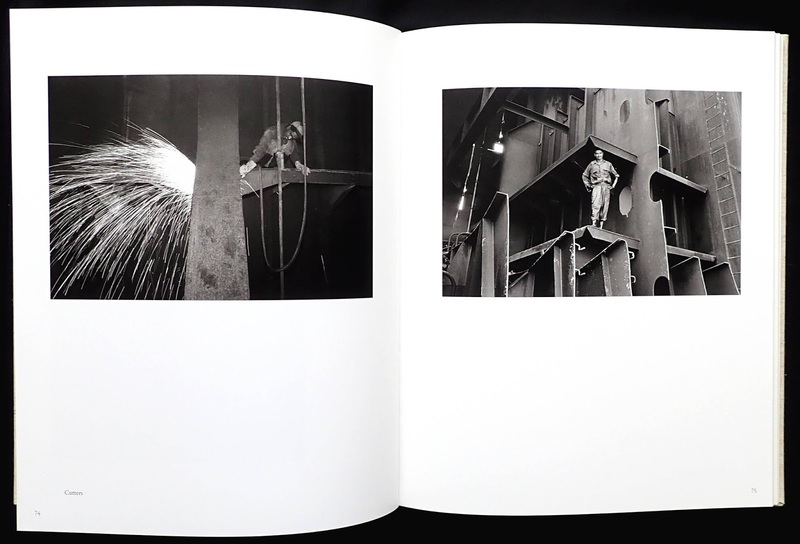 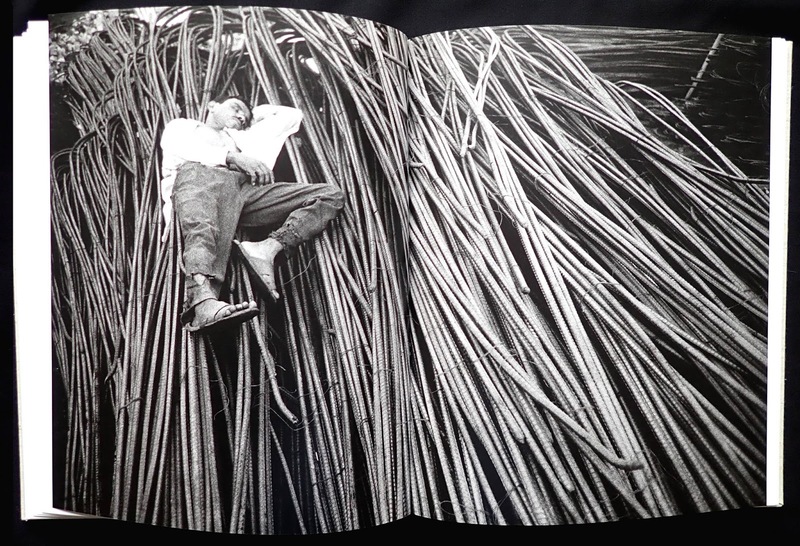 cabins et cetera but Cambon's work comes alive with his shots of taking the ship apart, basically by hand back then. 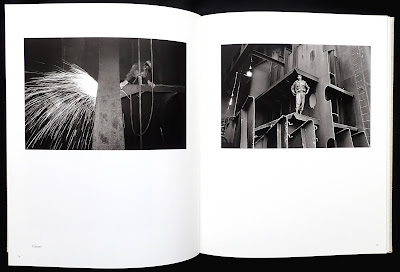 The gas cutters get to work cutting the steel into ever smaller pieces until they can be man-handled onto trucks and carted away for recycling. 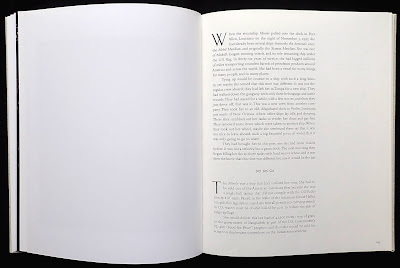 There's a two page fold-out with sixteen photos, taken over five months, showing the Minole getting smaller and smaller. 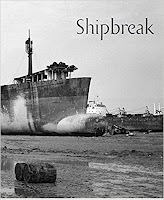 The breaker yards in Bangladesh are the poor cousins of those in India, principally centered in Alang and Gadani in Pakistan, there the workers mostly wear hard hats and gloves and crawler cranes help pull ships apart. 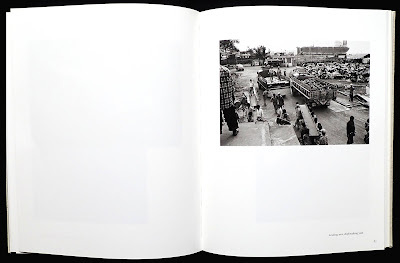 Since 1998 the workers lot has probably improved in Bangladesh but as labor is cheap and plenty of it it's a slow process. 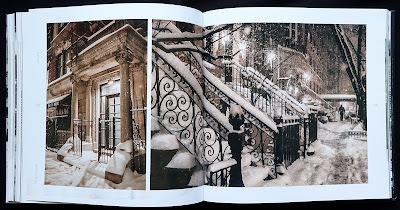 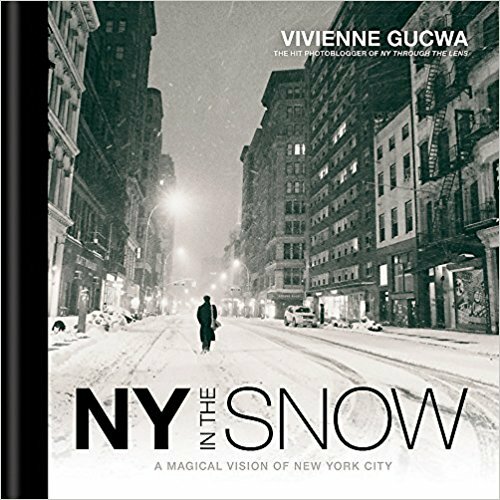 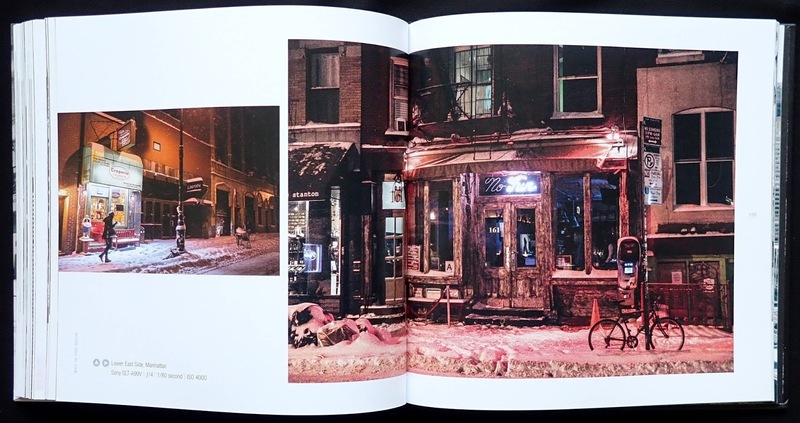 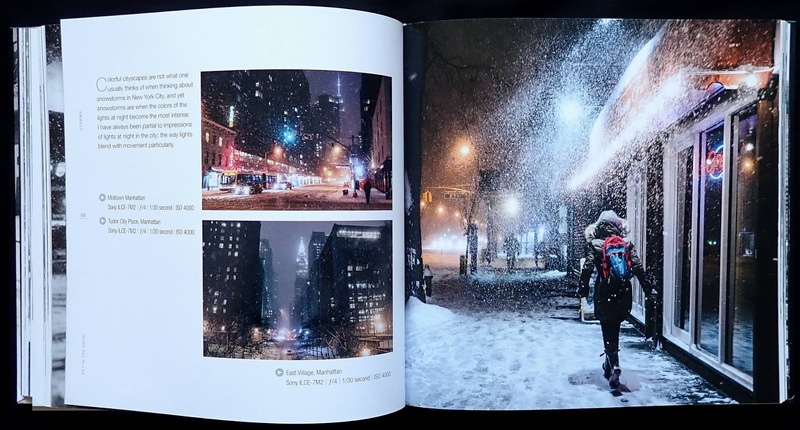 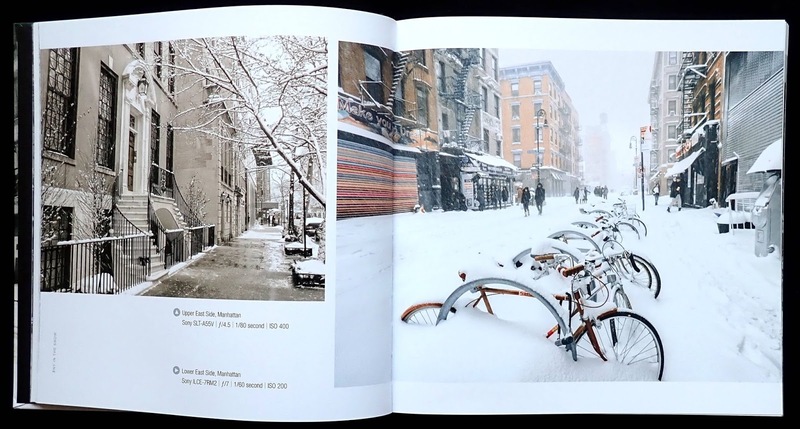 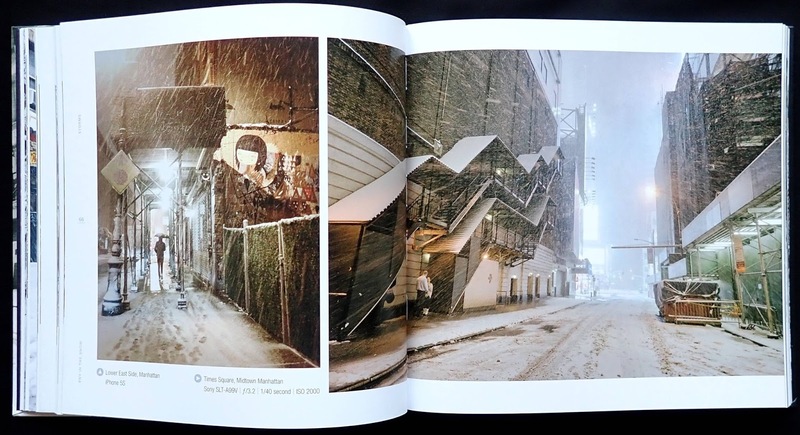 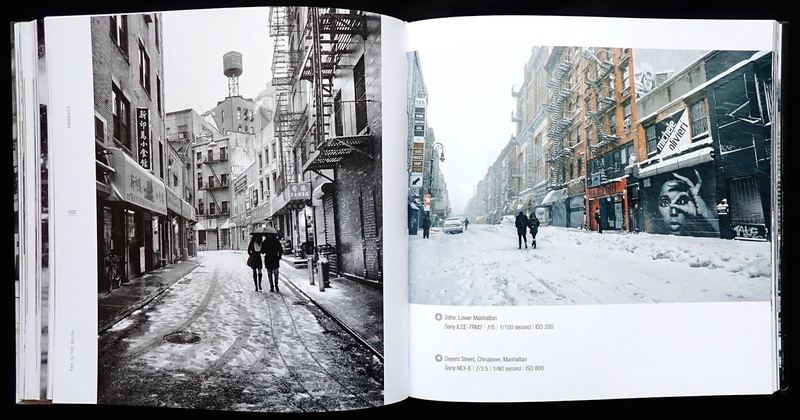 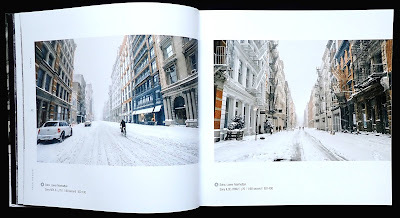 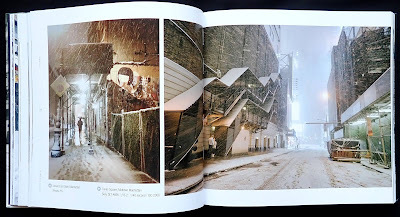 Some of the photos in the book appeared in Vivienne Gucwa's 2014 title NY through the lens where they worked well enough by blending into images of the city through the seasons. 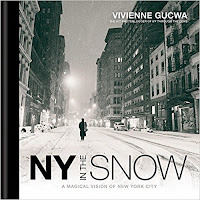 Unfortunately this book isn't nearly so successful. Snow photography works best when it's captured as freshly fallen and has an untouched surface, near impossible in a city with people and traffic. 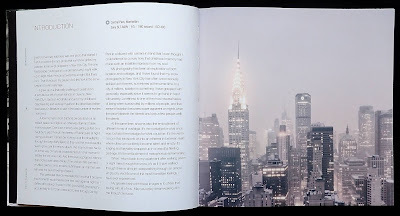 Central Park obviously would give some good images, tops of buildings and private areas visible from the street, statues and contemporary art (like Robert Indiana's Love sculpture on Sixth Avenue). 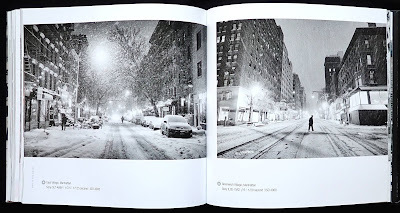 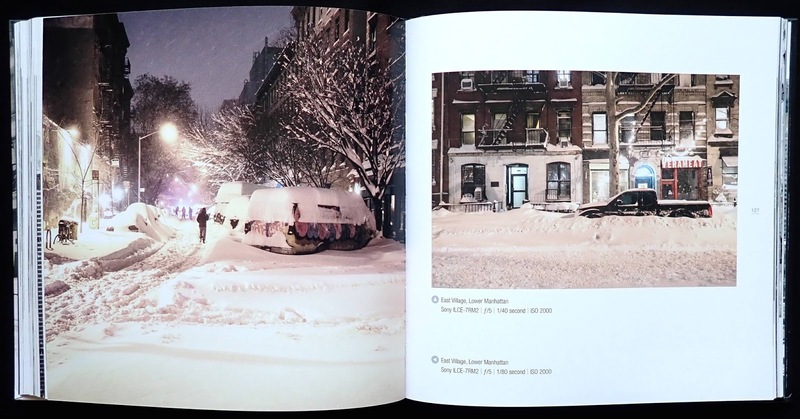 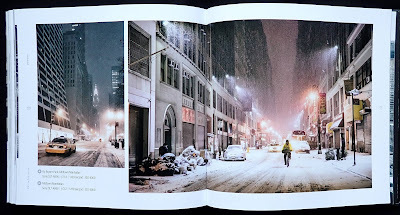 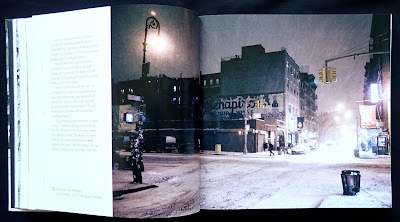 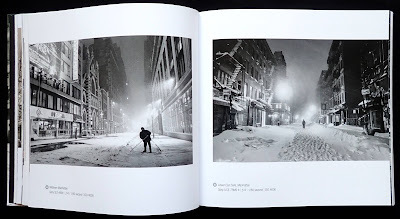 Far too many photos in this book have been taken from the middle of a street, after dark, looking into a blurry distance, the snow has been disturbed by pedestrians and cars and so losing much of its magic. There are some good shots but really this is not much more than a collection of snow snaps of Manhattan. 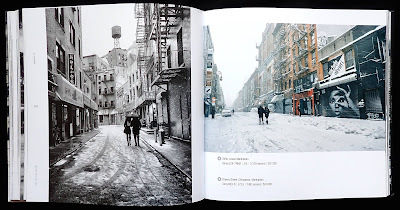 The Big Apple delivers yet again some rich pickings in the best Photo League style of busy street photography. 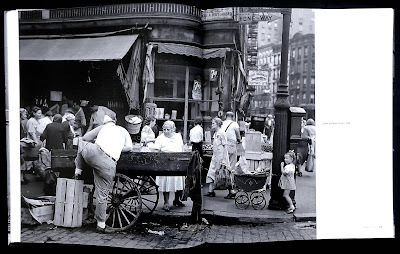 Todd Webb (1905-2000) took most of the book's pictures during 1945/6, when he returned to the city after active service in the South Pacific. 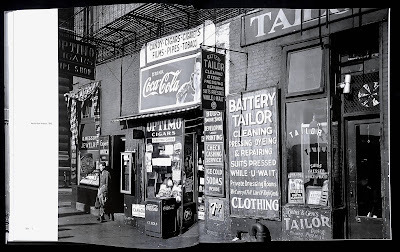 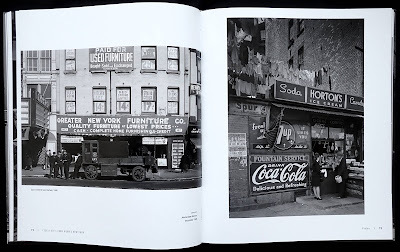 Many of the 167 photos capture the working class street environment, especially straight on shots of houses or store fronts with windows full of signs and products which sometimes spill out onto the pavement. 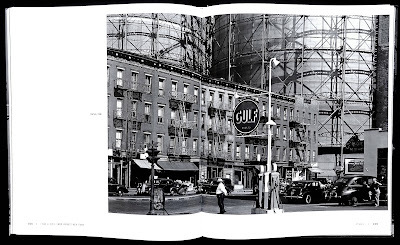 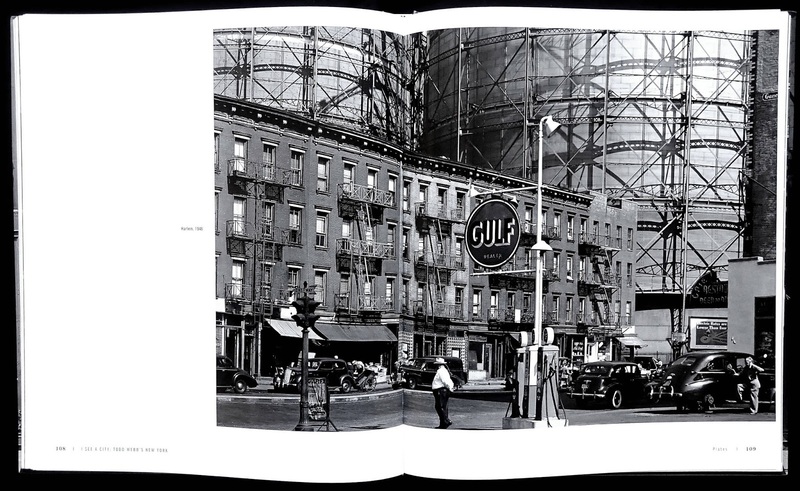 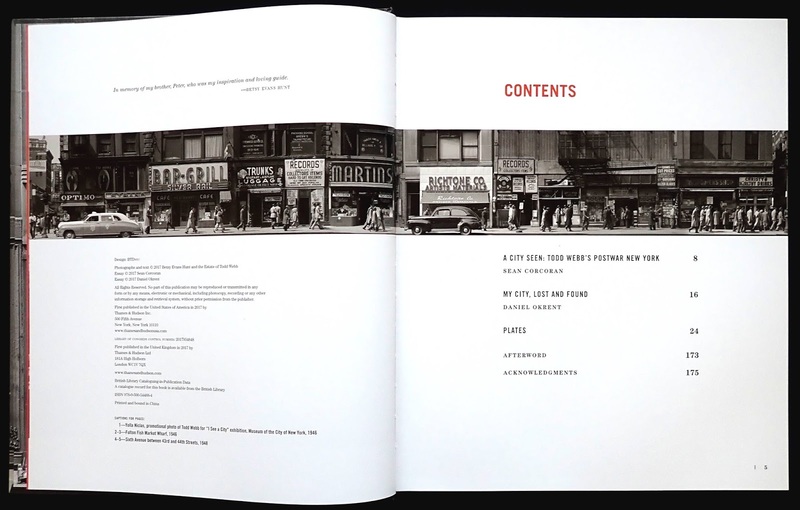 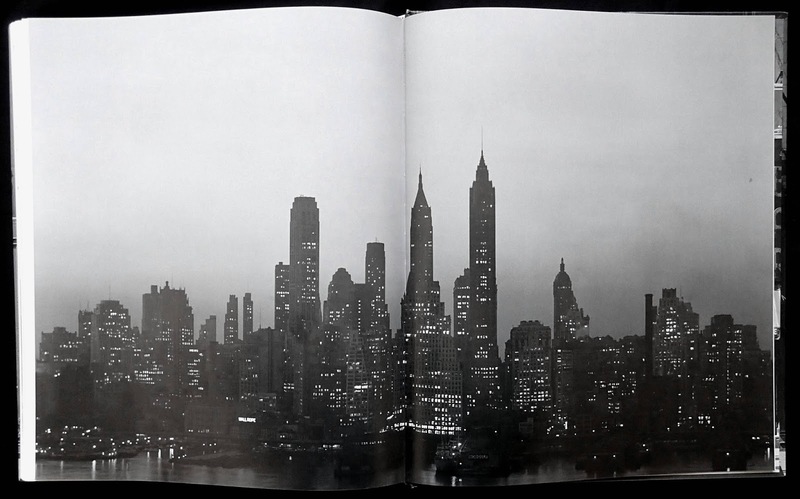 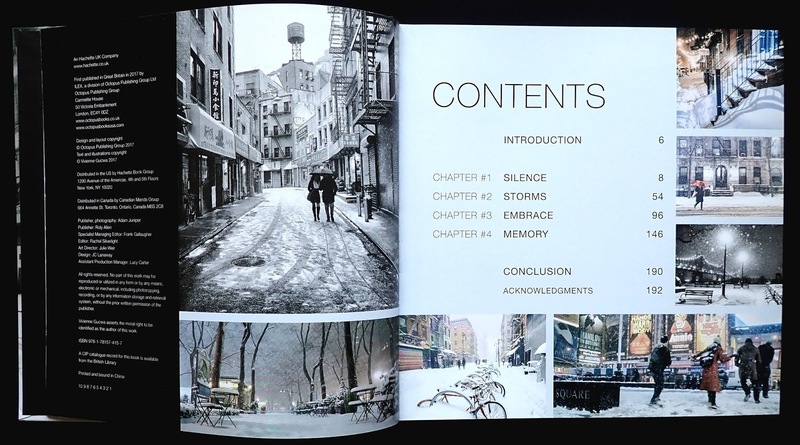 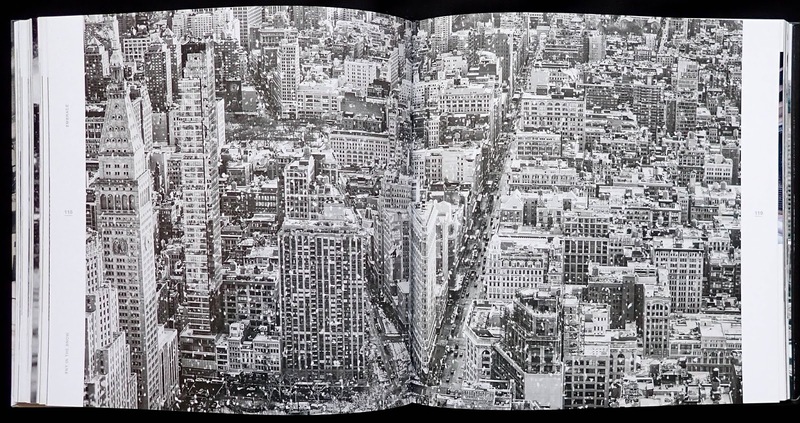 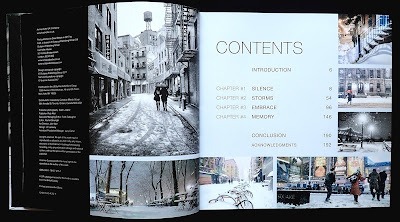 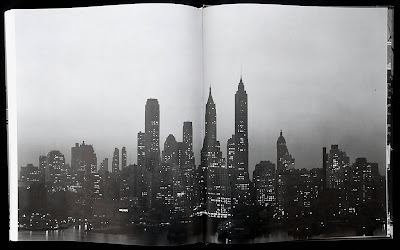 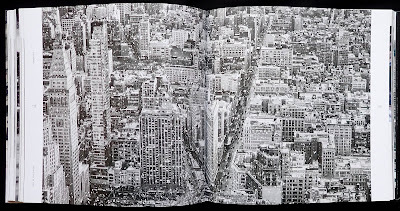 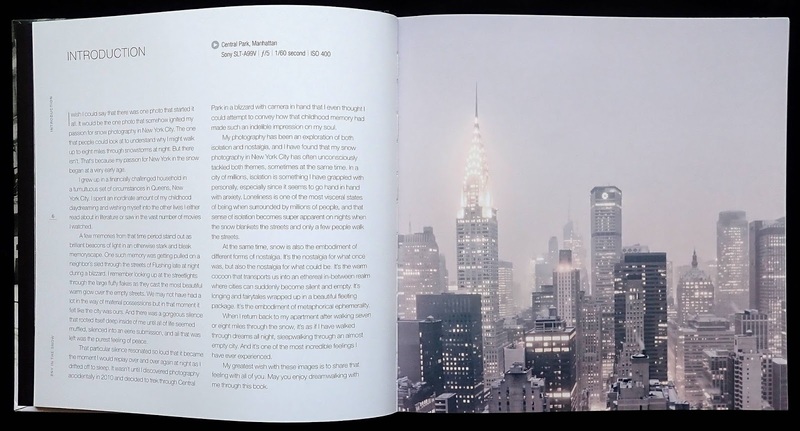 Pages four and five has an eight exposure shot of Sixth Avenue between 43 and 44 Streets (part of it is on the cover) the exposures were joined together to create a stunning wide photo. 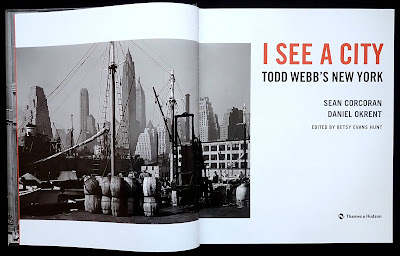 I particularly liked the many photos that included lettering and Webb seems to have sought locations with signs, rather reminiscent of the FSA photos from the Depression years, in fact there aren't too many photos that don't have some sort of lettering within the frame. The editors have included a few interesting architectural shots of New York including row houses with skyscrapers rising behind them, the Empire State at night and the Brooklyn Bridge. 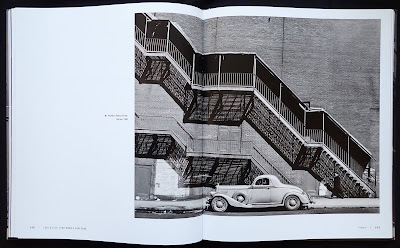 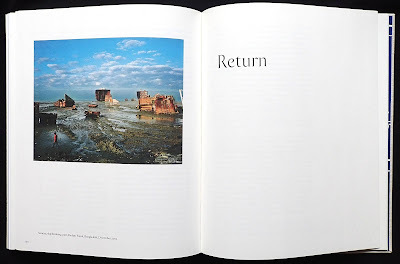 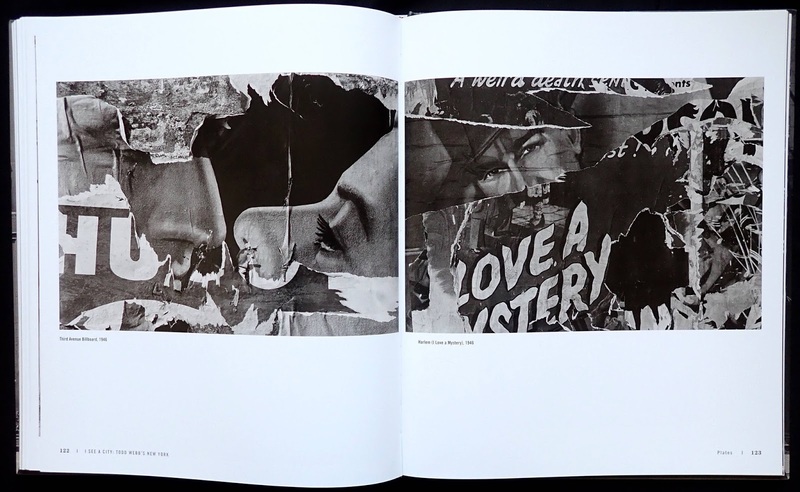 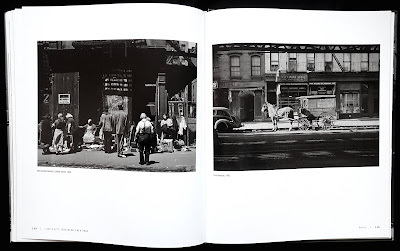 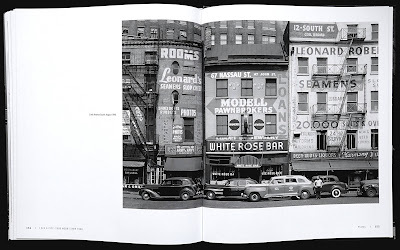 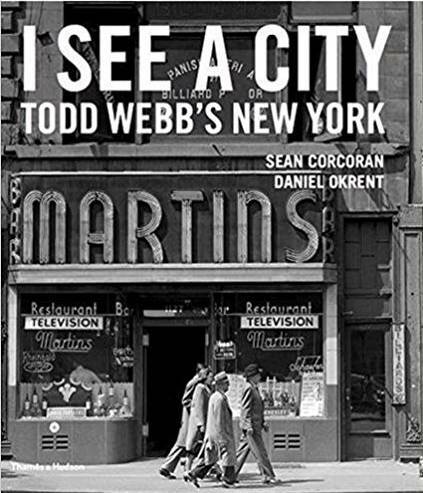 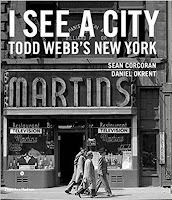 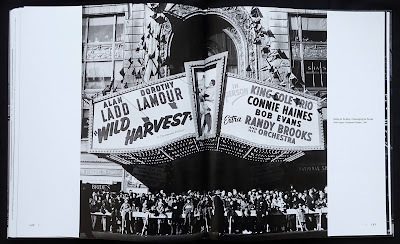 The first pages have an illustrated essay by Sean Corcoran about Webb's life and during the late forties he was friends with several photographers of the period: Berenice Abbot; Harry Callahan; Ansel Adams; Alfred Stieglitz; Gordon Parks; Helen Levitt and Lisette Model. 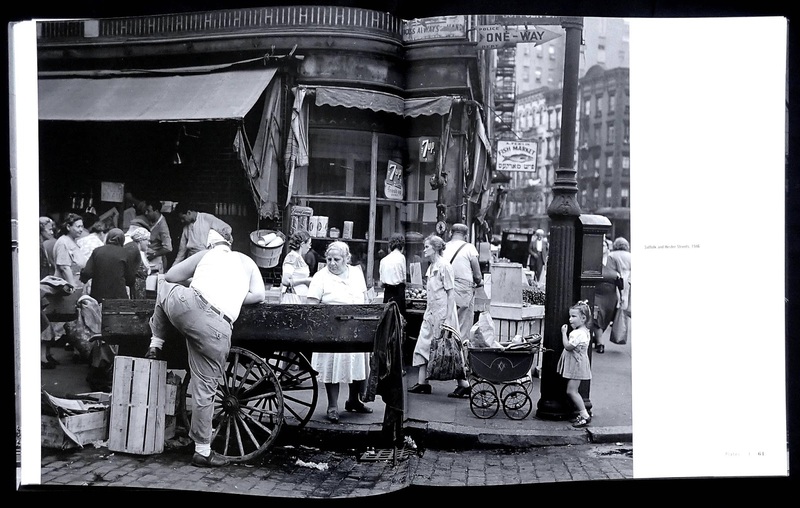 Daniel Okrent contributes an essay about changes in the city shown in the photos and today. This is a good looking book with a lovely matt art paper for the two hundred screen printing which reveals, once again that the Big Apple is a mythic city for photographers. 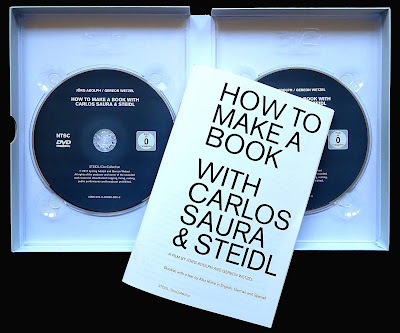 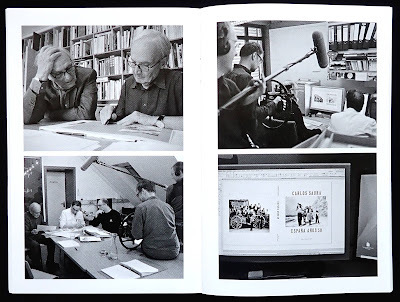 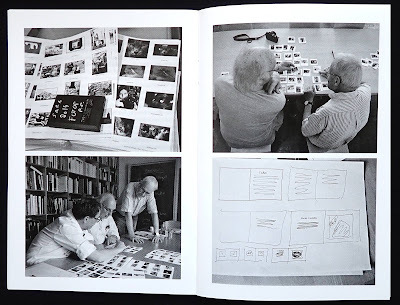 I thought this was a fascinating documentary with movie director Carlos Saura, Hans Meinke and Gerhard Steidl planning and creating a photobook. 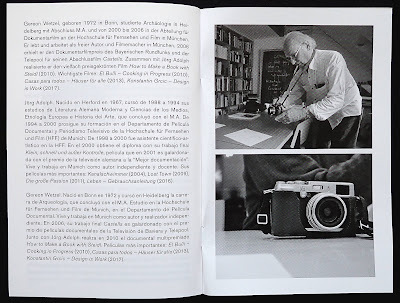 It starts with Meinke (Saura's friend, fluent in German and Spanish) and Steidl visiting Saura in Spain to look over his photos taken in the late fifties of ordinary Spaniards, away from cities and Franco's authoritarian regime. Several of these wonderful photos fill the screen and it's clear that he has a good eye for a composition and subject matter. 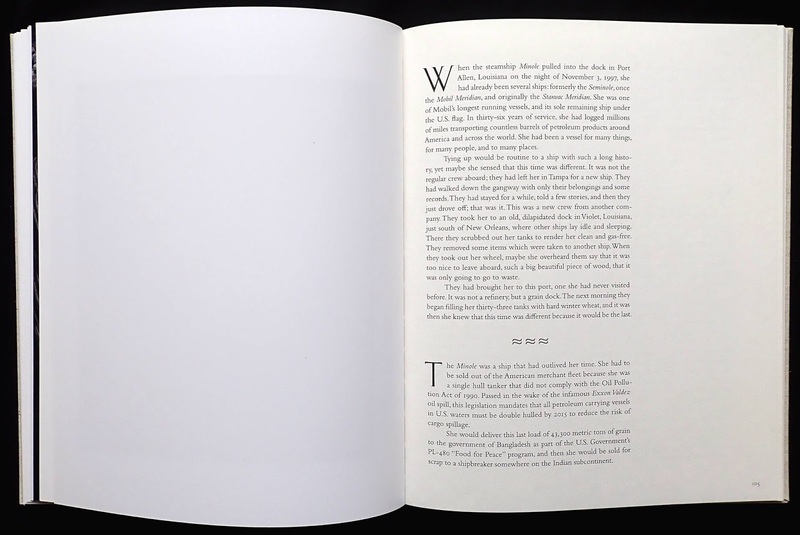 "I think that the book or book production that we are doing should not be a very high priced book. So the book, for me, is a democratic object which is for anybody around the globe and it is relatively cheap, so a high quality book that is beautifully printed for twenty, thirty, forty euros is not an expensive object, it is not a luxury object" (It struck me that this is the opposite of what some other publishers might say, they believe a beautifully printed, short run art book, should be highly priced). Saura's photos are reduced to playing card size and laid out on a long table to work out the sequence and further reduce the number. 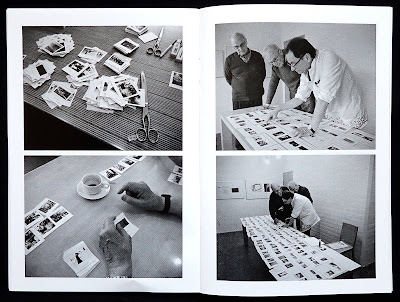 I found the sequencing operation interesting because, despite being in this digital age, the best way to do this was to physically handle small prints of the photos so they could easily be re-arranged, added to or reduced to get the best flow as the reader turns the pages. 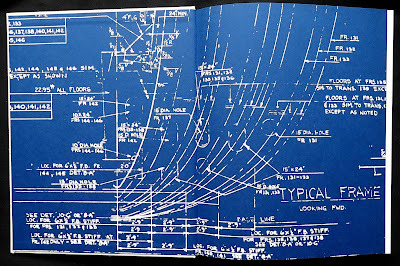 This would be difficult to do on a pc screen. 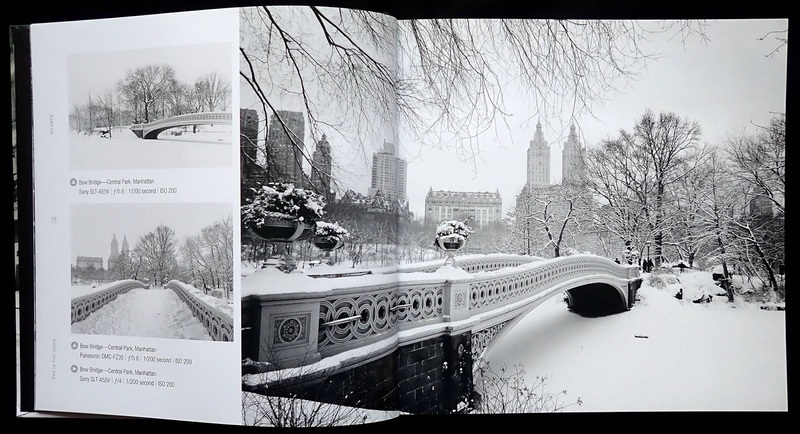 Later the photos are digitally examined and any flaws removed and printing plates made, there is some discussion about what grey to use for the printing, black provides the basic image but the addition of light or dark grey inks give the photos that extra sparkle on the page. 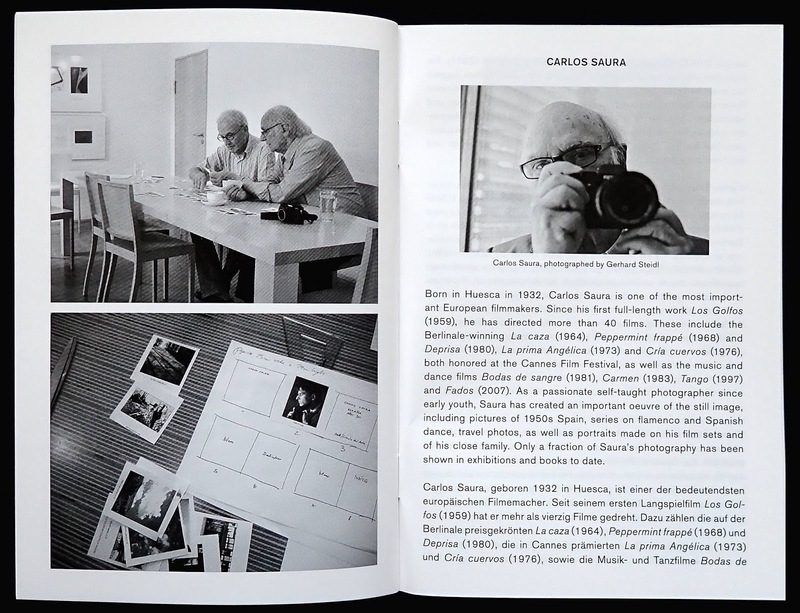 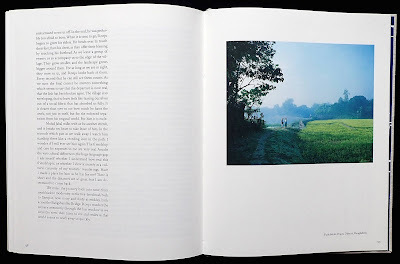 The documentary ends with a brief visit back to Spain where Steidl presents Saura with his book of photos, beautifully printed of course. The box has two DVD's, an NTSC and PAL version so it can be played anywhere. 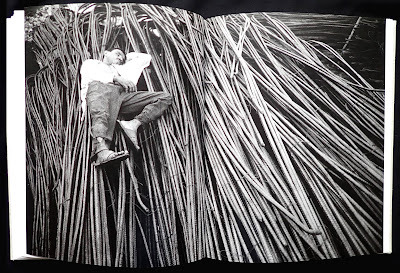 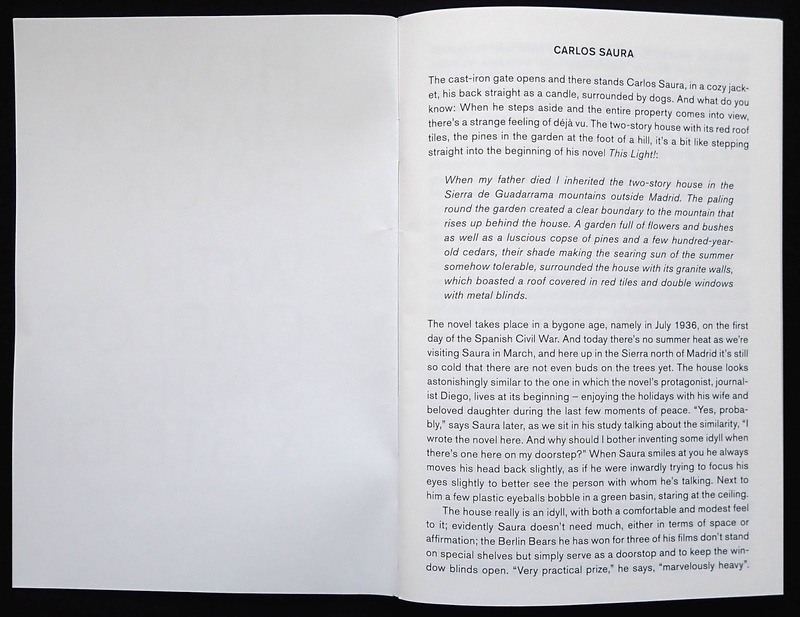 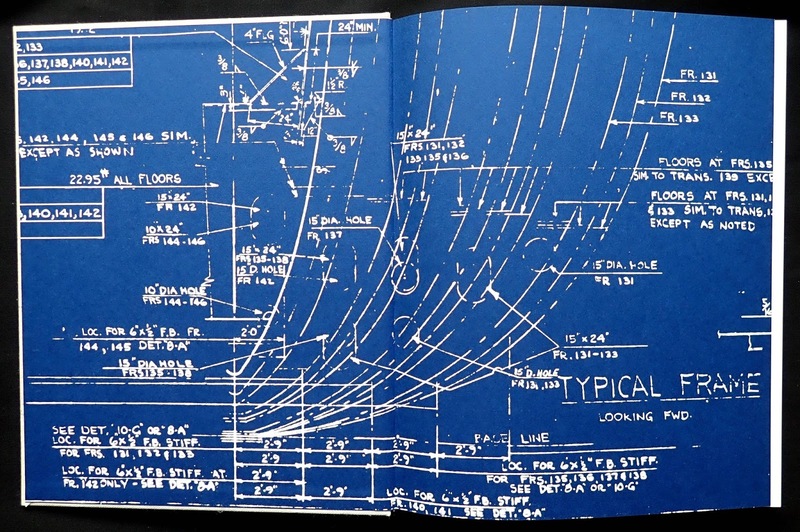 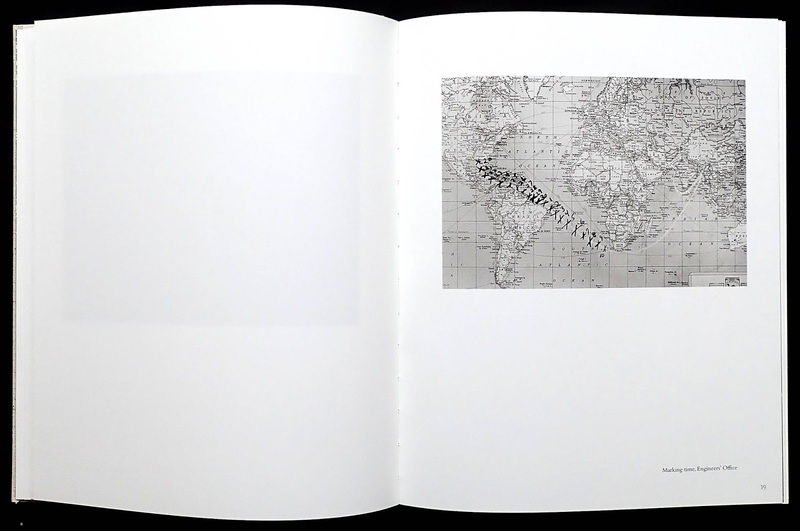 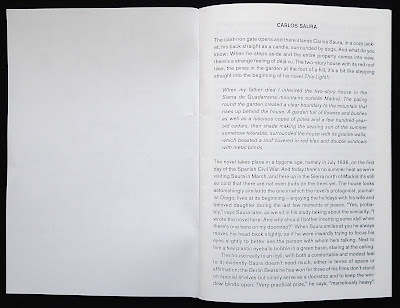 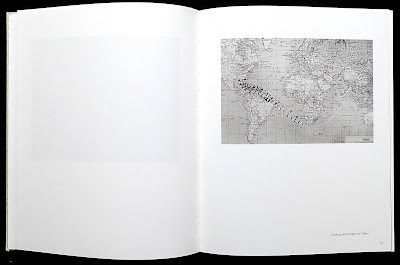 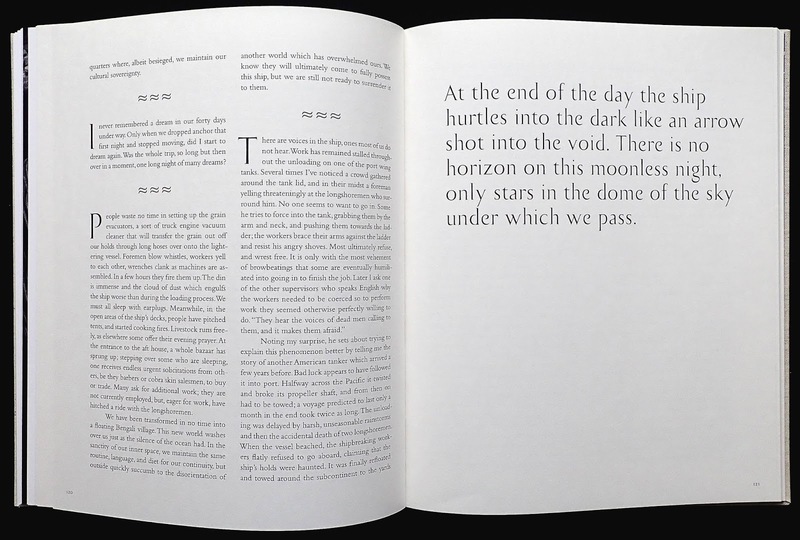 Also included is a forty-eight page booklet with an illustrated multi-language essay about creating the photobook. 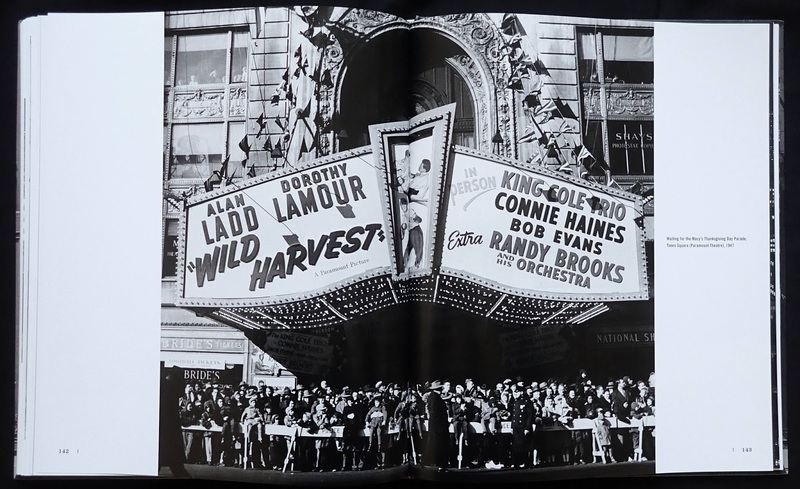 Oh yes, one other thing, the documentary doesn't have any annoying background music.